It’s a yearly tradition for TMC Academy staff and students to celebrate Mid-Autumn Festival over mooncakes and tea, akin to a family reunion of our own. Ms. Yeow shares with our international students on what is Mid Autumn Festival and how the locals celebrate. 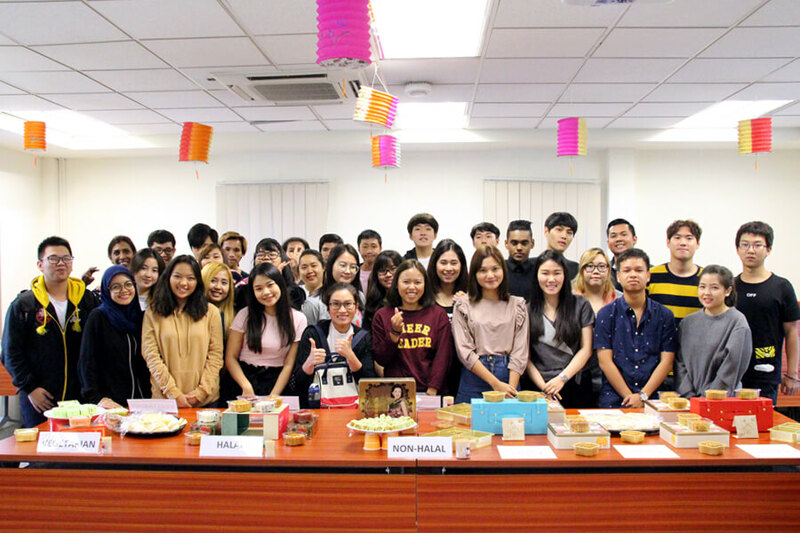 To kick start the session, our Executive Director, Ms Yeow, shared the origins of celebrating Mid-Autumn Festival and interacted with our international pool of students and staff, getting them to share their local ways of celebrating this festive occasion. 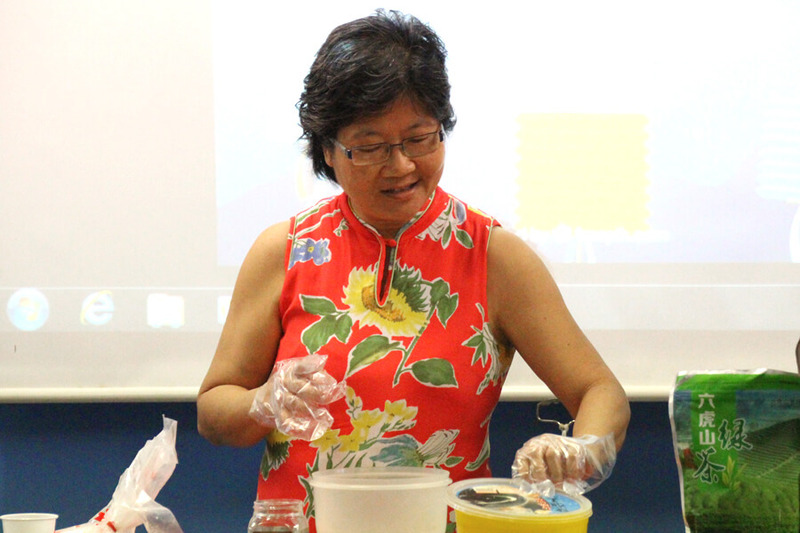 To add interest to the gathering, our Human Resource department colleague, Julia, gave a demonstration on how to make Snowskin mooncakes. She even brought along the end product for all to try – and yes, they were snapped up in no time! Unlike traditional mooncakes, snowskin mooncakes are more of a “modern” mooncake. It gained popularity among the youths like a blizzard, and now it is a must-have for everyone. Traditionally, tea is always served with mooncakes. The scent of tea will wipe away the richness of the mooncake, giving you… well… the feeling that you can have more mooncakes. What’s a Mid-Autumn gathering without some hot piping tea? Besides helping to ease the richness of mooncakes, the right tea will also enhance the flavor of this Mid-Autumn indulgence. 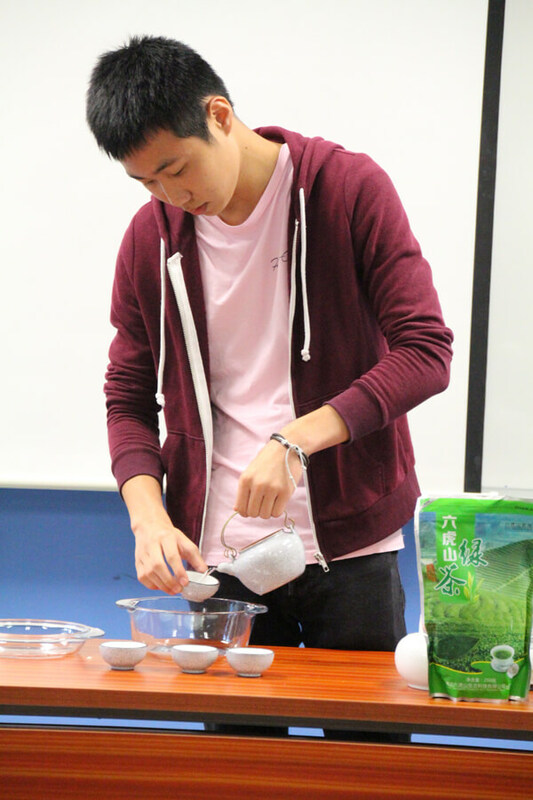 Our ‘O’ Level student, Kelvin, who despite his young age, studies the art of tea appreciation. He shared his knowledge by demonstrating the key steps in a tea ceremony. He points out that the first step is always to warm the tea set with hot water, for the comforting feeling of having a warm teacup in your hands, which adds to the experience of appreciating a cup of tea. 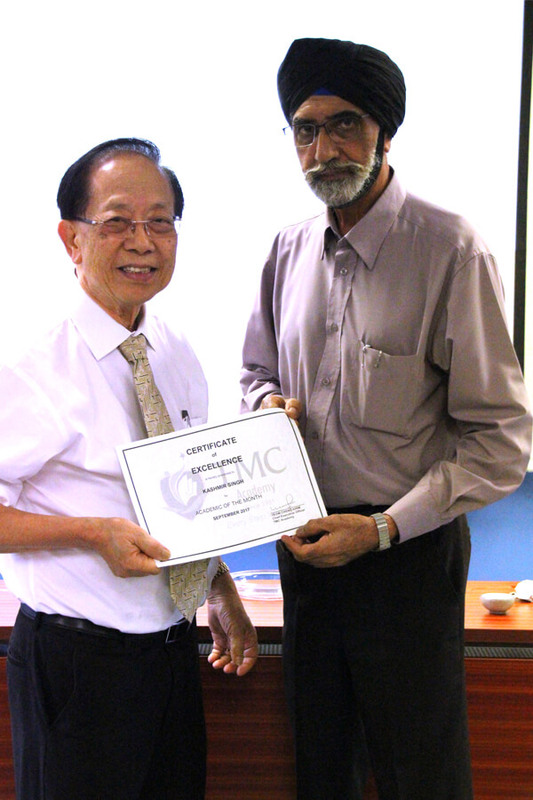 We also took the chance to present the academic award in the month of September, with our Principal, Dr Chin, doing the honour. The award goes to Mr Kashmir Singh, Senior Lecturer in the School of Business and Law. He is a dedicated lecturer who prepares students well for assessments and also displays professionalism in imparting good values to students, particularly strict discipline. He has been a valuable team player as he supports teaching for TMC College and takes on teaching English Language. He will also be a part of the team in teaching the University of Northampton Accounting and Finance programme. 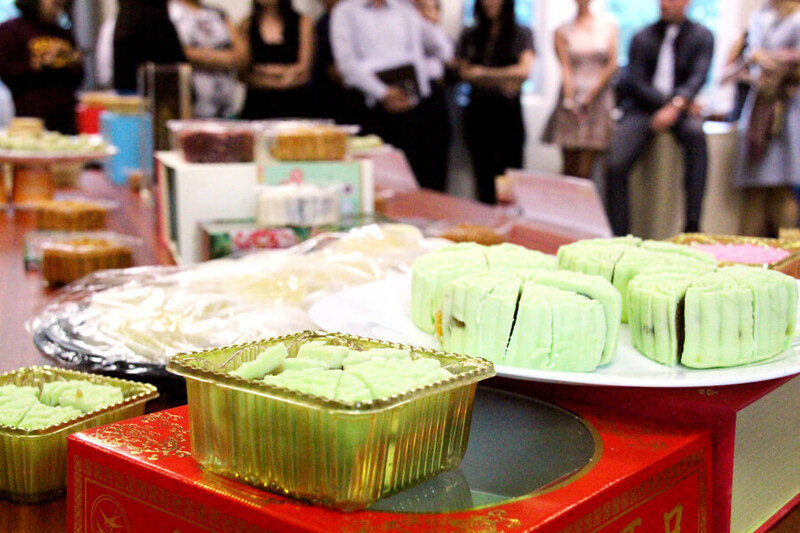 After all the fringe activities, it was time for the main event – tucking in to an assortment of mooncakes! From traditional flavours like baked skin lotus paste to creative recipes like snow skin red velvet caramel, everyone was spoilt for choice. The organisers, our HR team, kindly included vegetarian and halal options so that all can have a taste of this tradition. Another popular item was the oh-so-sweet pomelo fruits. Some believe that this is the favourite fruit of the Moon Goddess and deemed as a lucky fruit because of its sweet taste and round shape. Snowskin mooncakes are distinctively different from traditional baked mooncakes, and best served cold. 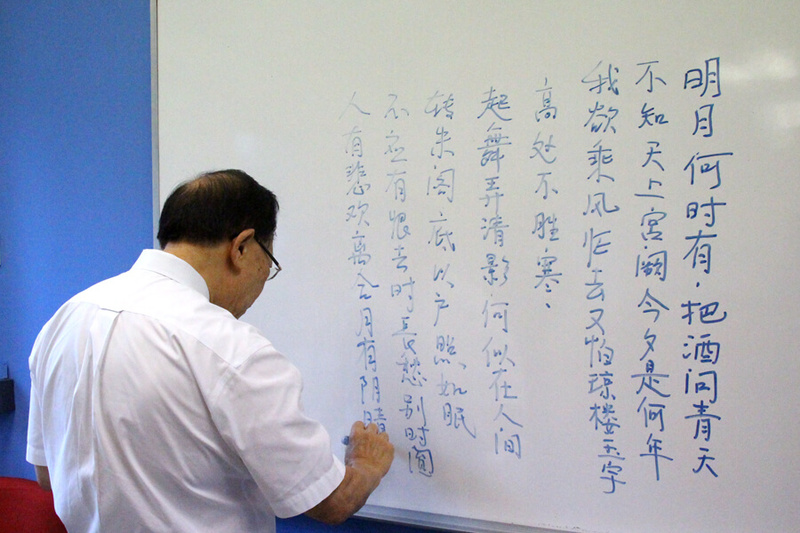 Dr.Chin penning down an ancient chinese poem about Reunion. 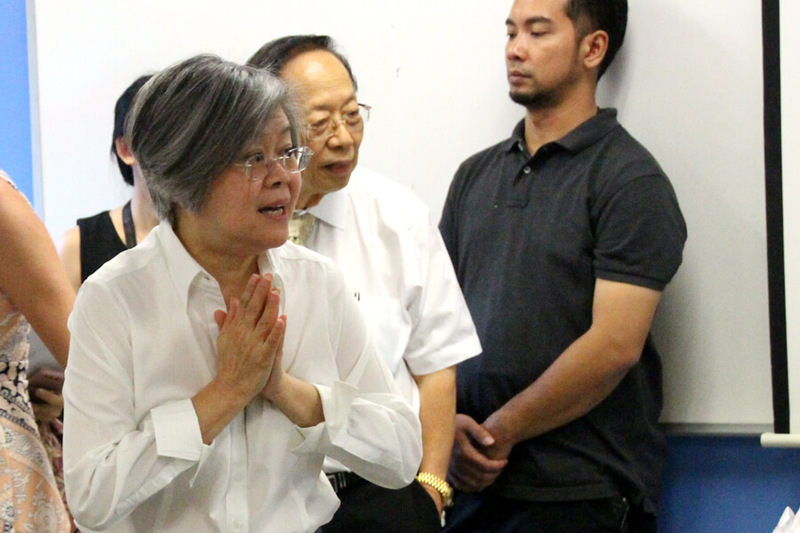 All the bonding over delicious mooncakes and tea appreciation inevitably evoked a poetic atmosphere, as our Principal, Dr Chin, pens down an ancient poem titled 《 水调歌头 • 明月几时有 》, written during the night of the Mid-Autumn Festival of 1076, by poet Su Shi, also known as Su Tung Po. Here’s a toast to more happy reunions! 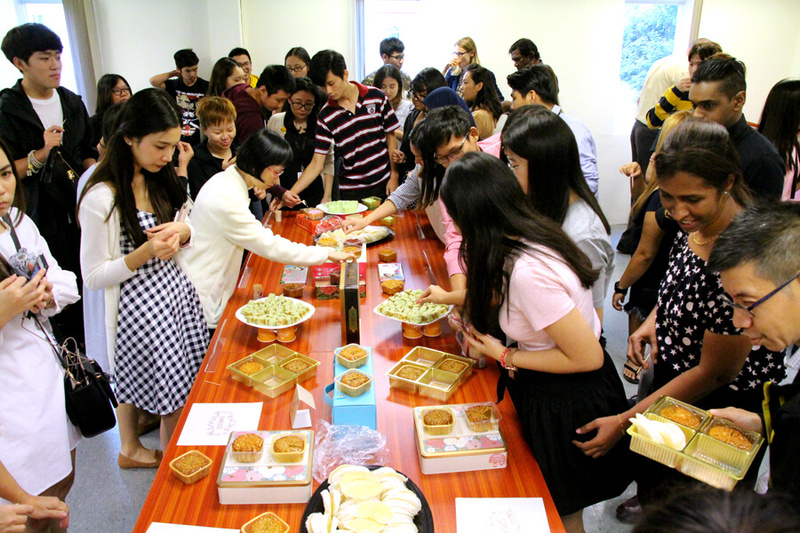 Happy Mid-Autumn Festival From TMC Students! 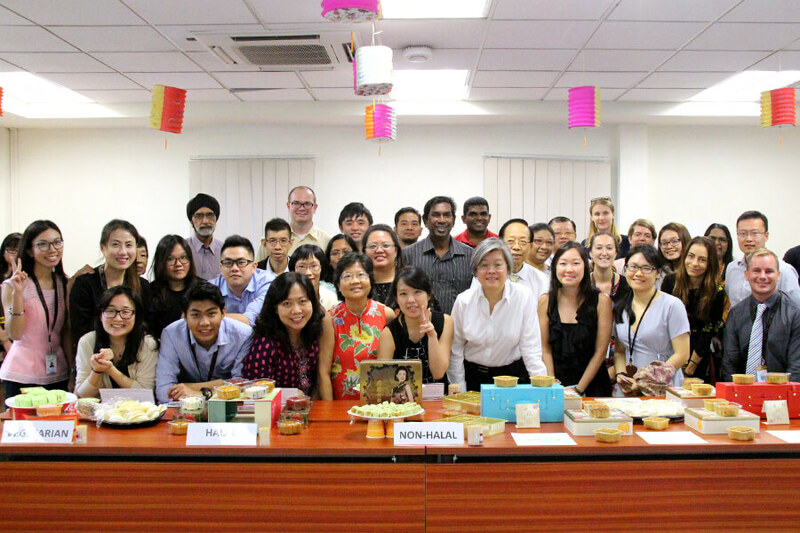 Happy Mid-Autumn Festival From TMC Academy Staff!